Nero SecurDisc technology helps you effectively outsmart Ransomware! Karlsruhe, June 30, 2016. With the alarming spread of ‘Locky’ earlier this year, ransomware once again moved into the public eye. This particularly malicious ransomware manages to sneak into private and corporate PCs via unassuming e-mail attachments. Once there, it encrypts all files making them impossible to access. The aim of the attacker? Ransom! According to a study by Kaspersky Lab, almost 180,000 users were infected by ransomware in 2015; clearly a profitable business for cyber criminals. As a result, file protection is at the forefront of everyone’s minds. So how can we protect against future attacks? To protect files before the ransomware attacks requires firewalls and similar protections. For further protection, data archive is the answer! With Nero Burning ROM and SecurDisc technology, the safeguarding of files, and therefore access to data after a ransomware attack, is ensured. Whilst regular backups do not protect against cyber-attacks on data and systems, they do ensure that data is stored safely away. It is important that the backup is offline, as ransomware can even infect data on NAS systems and other online locations. Therefore, it is strongly recommended to regularly back-up sensitive, private and corporate data onto optical media such as CDs, DVDs or BDs. With the latest version of SecurDisc 3.0, users can password protect the burnt files and benefit from all of the additional levels of protection such as adding a digital signature and verifying data integrity. Another added feature is a warning message when the optical disc is aging, prompting users to re-burn their data. The latest version of SecurDisc is seamlessly integrated into Nero software products such as Nero 2016 Platinum, Nero 2016 Classic and Nero Burning Rom 2016. Data Reliability, Password Protection, Data Integrity, Digital Signature and Surface Scan. "With Nero Burning ROM users are able to create a well-protected data archive and therefore keep themselves and their key data safe in the event of a hijack by ransomware," said Thomas Liebhold, Director EMEA Retail & Enterprise Sales International at Nero. "Nero software can help to protect valuable data against external attacks and provide an important contribution as part of a security concept for private and professional IT infrastructures." Nero Burning ROM 2016 and the software suites Nero 2016 Classic / Nero 2016 Platinum are available from authorized Nero sales partners, or directly from the Nero online shop at www.nero.com. 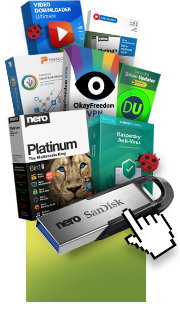 Owners of a previous version of Nero software can also upgrade at a special price. Nero offers customized and discounted licensing programs designed to meet the needs of commercial enterprises, educational institutions or government agencies at http://www.nero.com/eng/products/business-solutions.